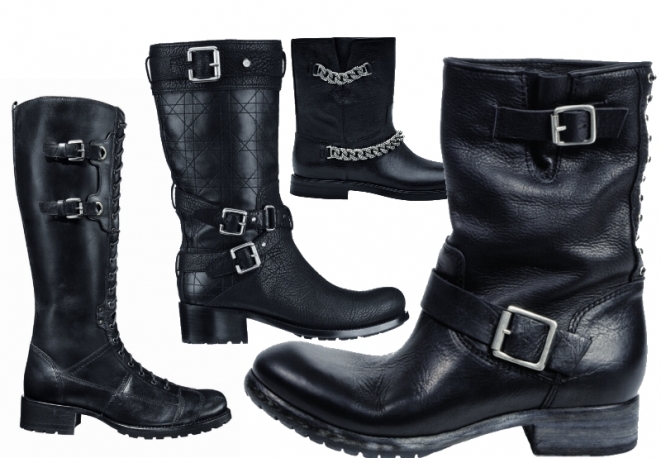 love biker boots! I think it's an great buy! Biker boots have been a huge trend here in the UK this winter. me encanta esta bota, hace años que tengo unas y siguen de actualidad. I heart flats as well. Thanks for stopping by my blog. I am now following you. Hope you follow back. @shulamit I've followed you back!!! anche a me piacciono da impazzire! Prima o poi li avrò anche io! Di solito uso stivali e stivaletti col tacco più o meno alto, ma il fascino dei "bikers" mi ha sempre contagiata! Biker boots are cool! I think they'll always be in style. Nice boots! First time stopping by your blog, and I love your design. Wish you a very happy weekend. I am so in love with the biker boot too! Thanks for the lovely comment on my blog :) Love biker boots - they are awesome. I have a pair from Target that I wear all the time. They are also practical for snowy winters! They are great, love them! OMG I love bikers! I splashed out for the Jimmy Choo ones but it was the best thing I ever did! I wear them all the time! You have a nice blog and great style. Hope you visit me and perhaps we can follow each other? Absolutely cannot go wrong with a pair of biker boots, love them! Li ho comprati da poco, per la prima volta... e ho scoperto che sono comodissimi e stanno praticamente con tutto. Non me ne separo più! Purtroppo però non ne possiedo perchè non li ho mai trovati come li volevo! I LOVE them ! I always wear this kind of shoes !! !